Waldorf Astoria Edinburgh – The Caledonian once was and still is the epitome of style and elegance. Following an extensive refurbishment in all areas of the hotel, Waldorf Astoria Edinburgh offers a total of 241 newly and luxuriously renovated bedrooms and suites, many with spectacular views overlooking the Edinburgh Castle. 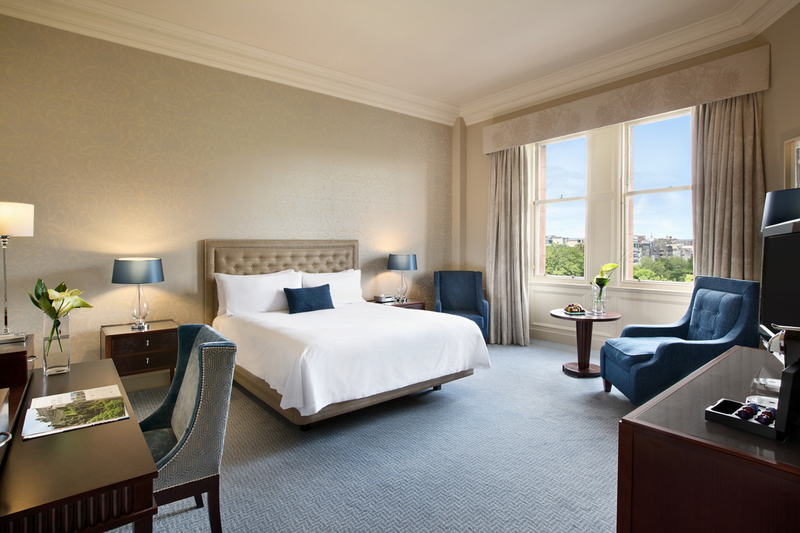 In-room amenities include Nespresso coffee machines, Salvatore Ferragamo bathroom amenities, luxurious bathrobes and slippers as well as and specialised Waldorf Astoria 300 thread-count linen. 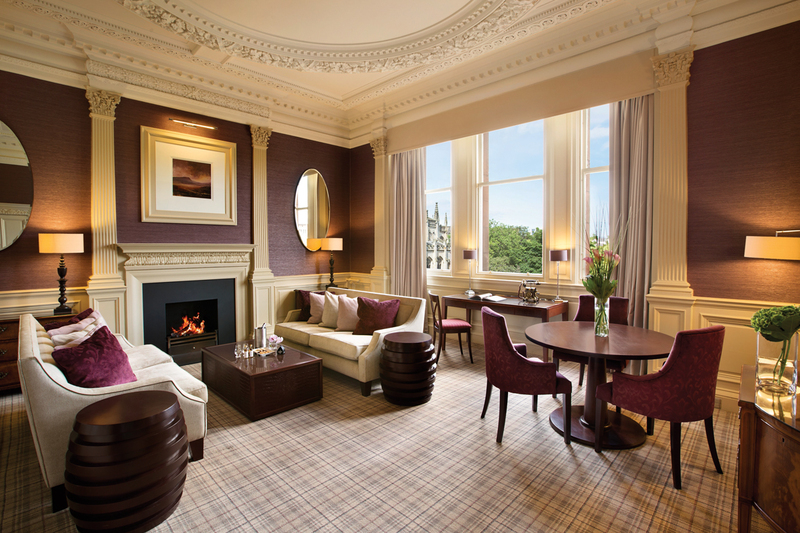 The former railway station hotel, dating back to 1903, stands proudly at the West End of Princes Street, which is an the ideal location to discover the majestic capital City of Edinburgh. 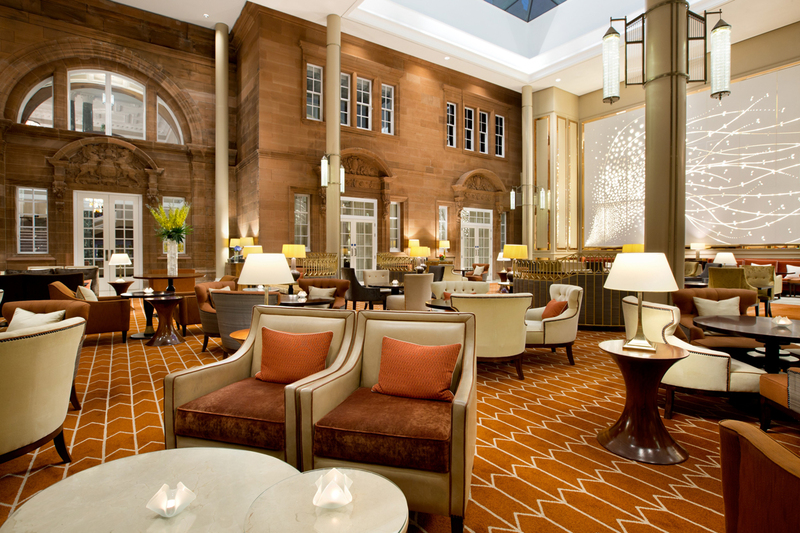 Waldorf Astoria Edinburgh – The Caledonian represents a dedication to excellence that combines elegance with luxurious amenities and service that is world renowned. 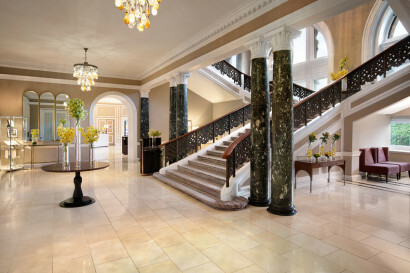 Renovated in 2012, following a £24 million refurbishment programme, after which the hotel joined the luxury brand of Waldorf Astoria Hotels and Resorts. Design team was Fox Linton. • UK’s first and only Guerlain Spa. Located on the iconic Princes Street, in the heart of Scotland’s capital city, Edinburgh. • In 1953 Gene Kelly stayed at the hotel and could not resist taking a few impromptu steps down the grand staircase. • The Pompdadour Resturant was designed in 1925 and was inspired by Madame de Pompadour’s boudoir. 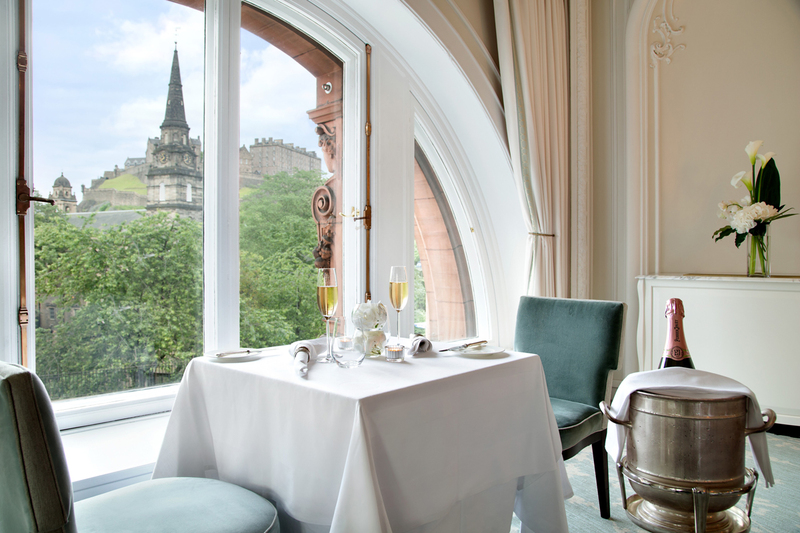 • Grace Kelly stayed at the property in 1976 and sampled a Caledonian Pale Ale and rather enjoyed it. • Children can enjoy their very own VIP amenities including Loch Ness Monsters. • Children’s menus are offered throughout the hotel. • Children eat free on Sundays at The Galvin Brasserie De Luxe. • Activity books for children are available for all ages in all public areas. 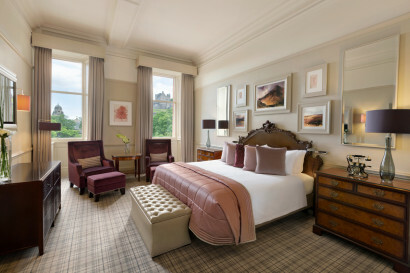 • 241 stunning bedrooms, 68 of which have breathtaking views overlooking the Edinburgh Castle. 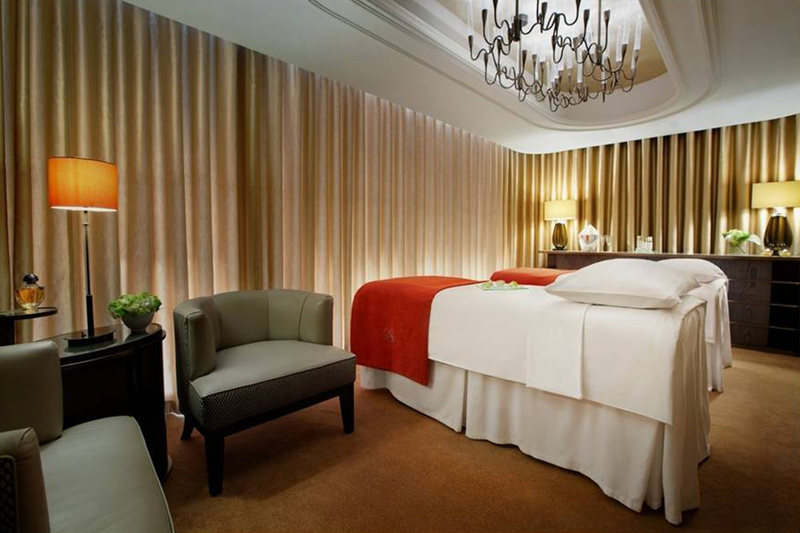 • All rooms feature Nespresso coffee machines, Salvatore Ferragamo bathroom amenities and 300 thread-count unique Waldorf Astoria linen. operated by Michelin starred London chefs and brothers Chris & Jeff Galvin. 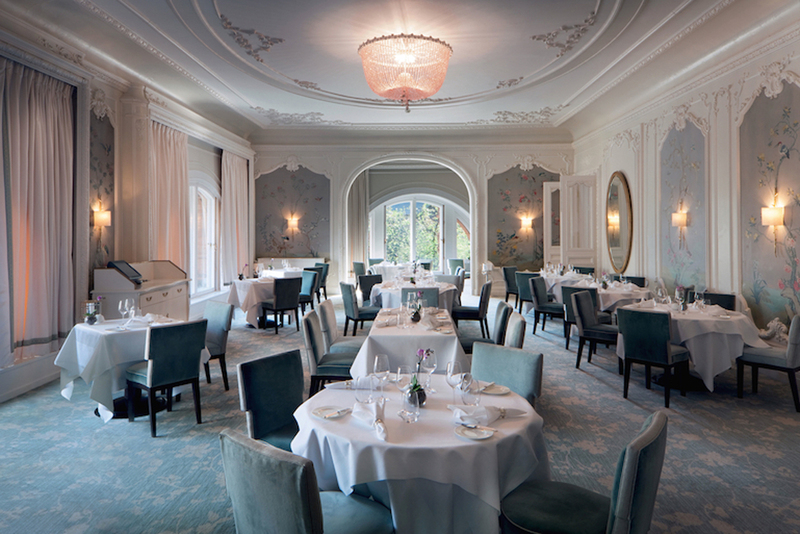 It has recently undergone a restoration process, wich has revived the glamour of the legendary dining room. 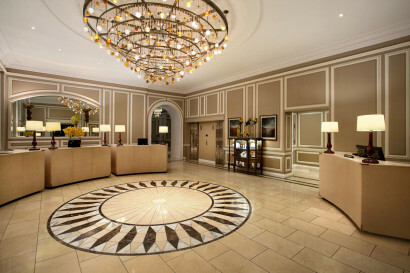 Authentic French culinary experience meticulously sourced local ingredients and seasonally inspired menus. by Michelin starred chefs and brothers, Chris & Jeff Galvin. An informal French Brasserie that serves a range of Scottish seasonal produce. 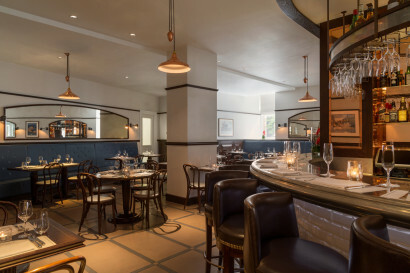 Styled upon a bustling Parisian brasserie with a crustacea showcase in the heart of the restaurant. 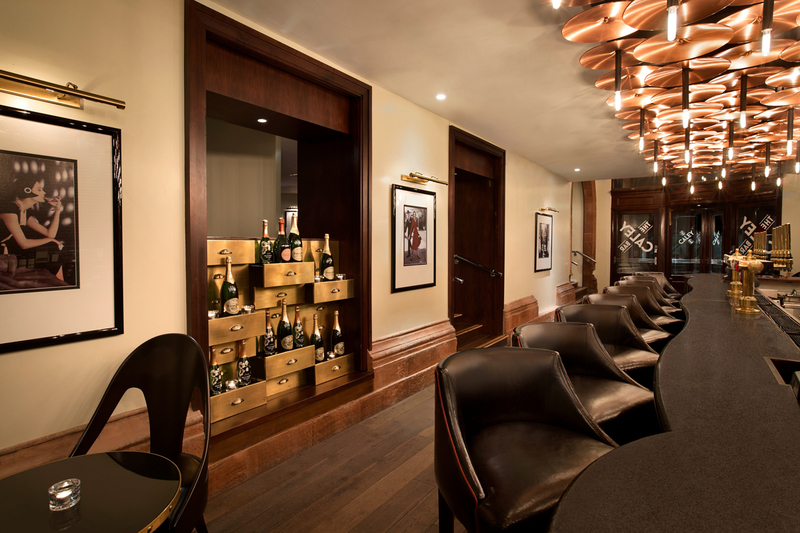 The original train station platform has been tastefully restored and transformed into the hotel’s main lounge area where afternoon tea is enjoyed daily. Traditional Scottish Bar serving a wide selection of whiskeys and cocktails. The exclusive Guerlain Spa is the only one of its kind in the UK. 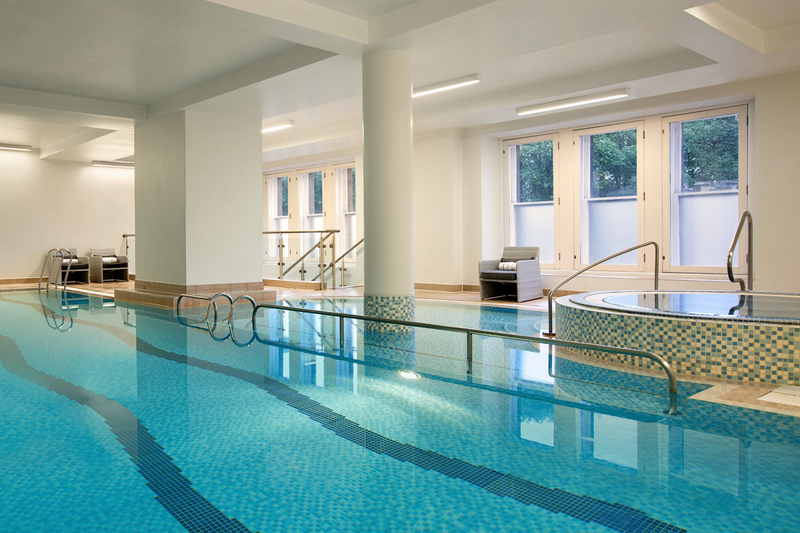 It features a 12-meter indoor swimming pool, sauna, steam room, jacuzzi, cardio gym and fitness centre as well as 5 Guerlain treatment rooms. Personal training programs can be designed for short and long stay guests.